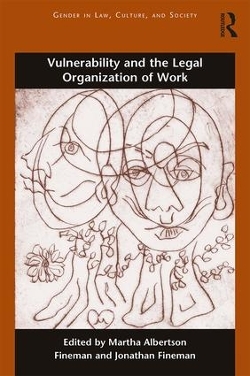 CSLR Associate Director Silas W. Allard has contributed a chapter to Vulnerability and the Legal Organization of Work (Routledge, 2017), edited by Martha Albertson Fineman and Jonathan W. Fineman as part of the series, Gender in Law, Culture, and Society. In his chapter, A desired composition: regulating vulnerability through immigration law, Allard explores how the state structures the institution of immigration law and its enforcement to mediate vulnerability among citizens and non-citizens. He writes: "In our globalized world, attention must be paid to the non-citizen because the vulnerabilities of the citizen and the non-citizen are deeply intertwined; the non-citizen cannot be understood as a distant and disconnected other." In addition to his leadership role at the Center, Allard is Harold J. Berman Senior Fellow in Law and Religion.